There's still time to participate in Color Challenge 52! Remember, you don't have to have the EXACT colors to play. Just use colors inspired by the ones you see below. This challenge features soft colors to inspire you — Primitive White, Berrylicious, Grout Gray, and Cement Gray. 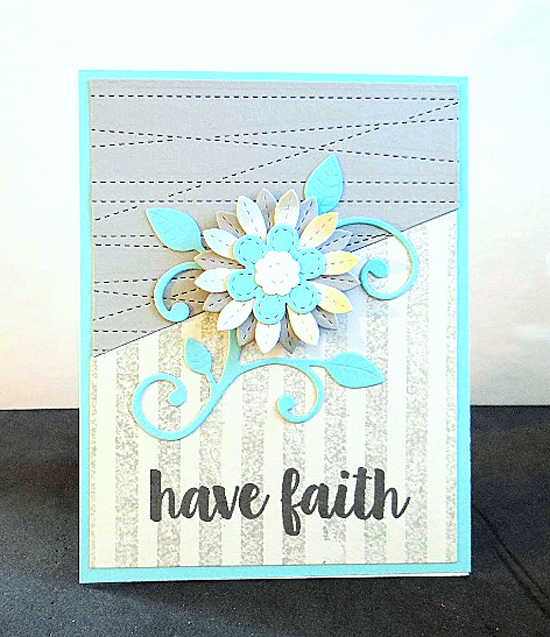 Stephanie Jones entered this lovely design for Color Challenge 52. 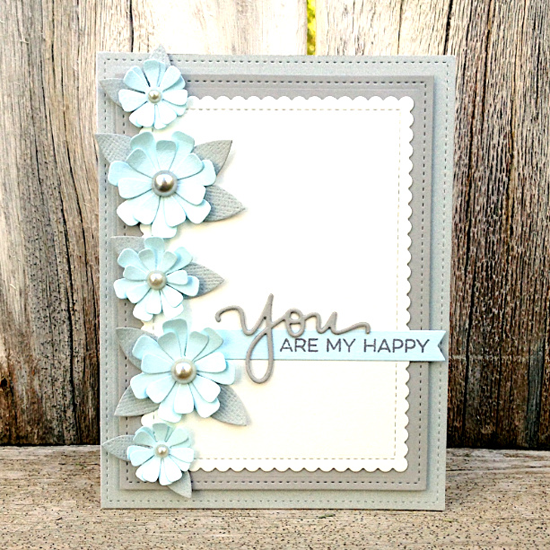 She says this, "I think the Essential Sentiments stamp set is my new go-to for sentiments. It has unique sayings for any occasion and coordinates perfectly with so many of the word dies I already have on hand. It's a huge set, too, so there are lots to choose from." Love that! Emily used the August card kit for her floral design and also incorporated the Stitched Strip Die-namics and the Distressed Stripes Background stamp. Well done! Awe Thanks for the love! This just made my day!